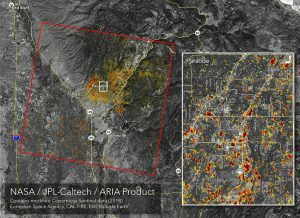 As firefighters continue to battle the destructive Camp Fire in Northern California, the Advanced Rapid Imaging and Analysis (ARIA) team at NASA's Jet Propulsion Laboratory in Pasadena, Calif., produced a new map showing damage as of Nov. 16., 2018. 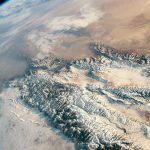 The map was developed using synthetic aperture radar images from the Copernicus Sentinel-1 satellites operated by the European Space Agency (ESA). The map covers an area of 48 miles by 48 miles (78 by 77 kilometers), outlined in red on left. 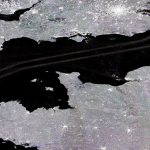 A closeup view of damage to the town of Paradise is inset on right, outlined in white. The color variation from yellow to red indicates increasingly more significant changes in the ground surface. 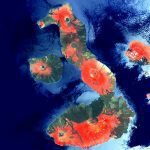 The ARIA team creates its maps by comparing before-and-after satellite images of the fire region to see the extent of change between the two images. 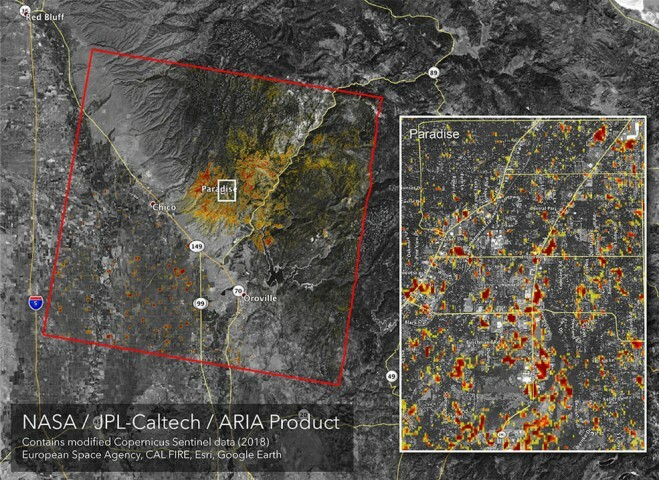 For this map, they compared the data for the image to a Cal Fire map for preliminary validation. 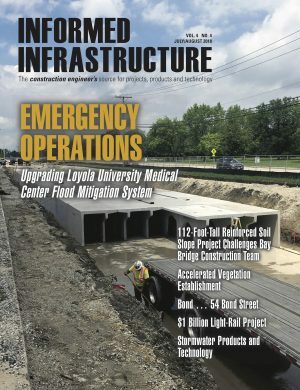 Although the maps may be less reliable over vegetated terrain such as forests, they can help officials and first responders identify heavily damaged areas and allocate resources as needed.